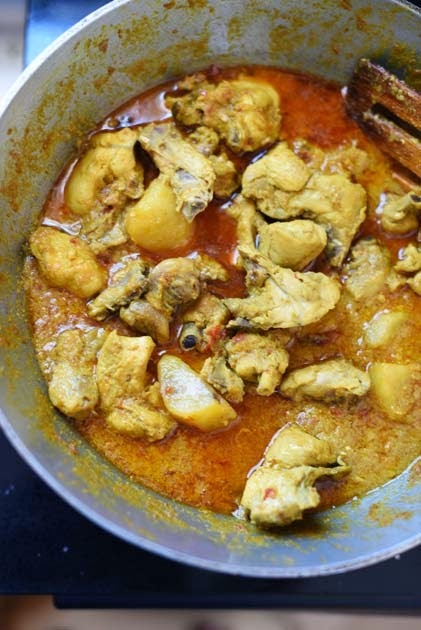 Apart from the garam masala, how is it different from a regular chicken curry? I made it once (no shrimp paste though as I didn't find any reference to use it) and it did taste very similar to an everyday murgir mangsho. 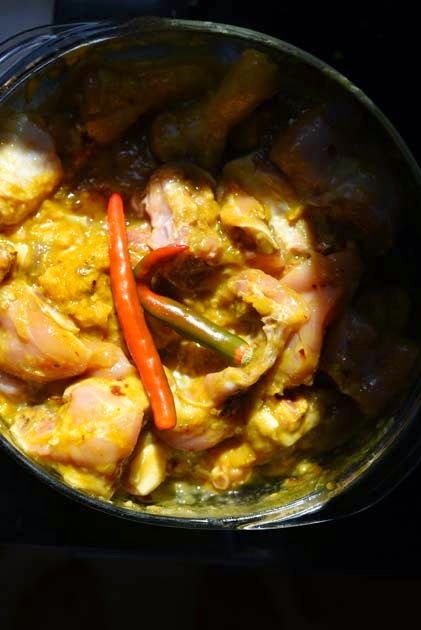 Not related to Goalondo curry but if you use beresta, it gives the chicken a different dimension and gives the curry a blood red hue. I love it. 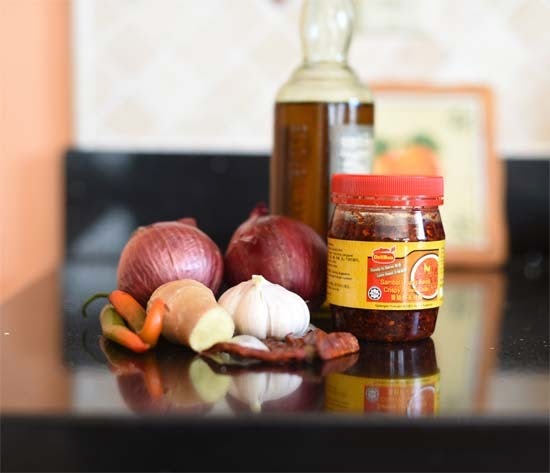 The thing is the recipes from a particular region will not taste too different from one another as they have a tendency to evolve from the same base ingredients. 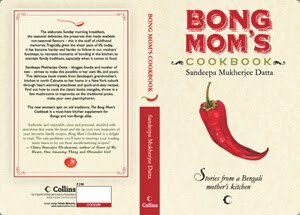 So when the middle class Bengali homes started cooking Chicken at home, the didn't invent a new curry. 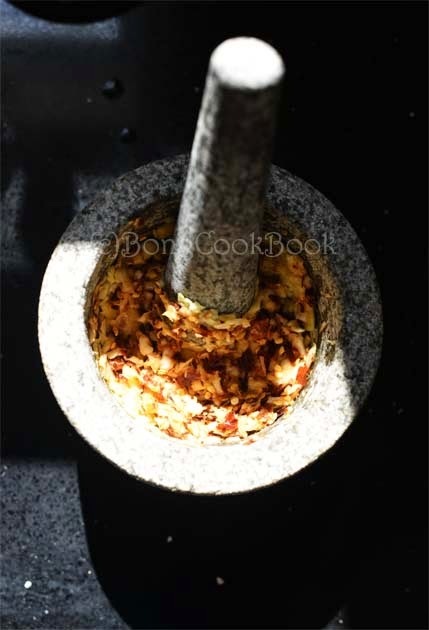 They refined the base and thus added things like Garam Moshla, Yogurt, maybe tomatoes etc. Due to lack of those and on the merit of dependency on organic basic ingredients, nothing fancy, no powdered spices, this curry tastes faintly rustic. If one doubles the red chill, one will get the red color I am sure. 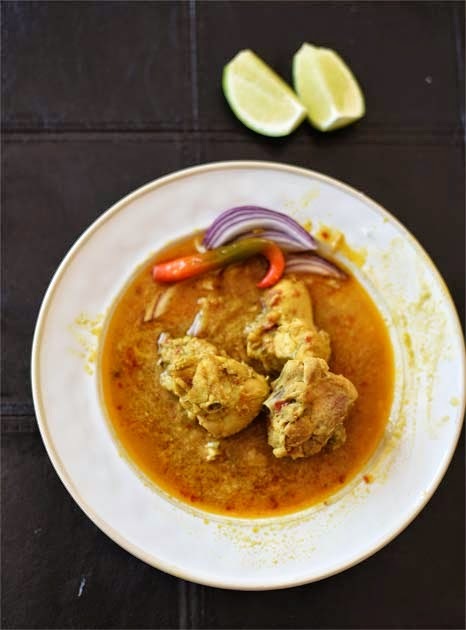 My MIL makes a mutton curry where she marinates the meat with all ingredients as in this recipe(except shrimp paste), cumin powder, and then cooks it just like that. No frying of onions or spices. At the very end she does add some fresh wet paste of Gorom Moshla. Awesome chicken recipe, its yummy. I read your blog occasionally as I find it informative and fun. But I never felt the need to write any comments...till now. I found the story behind this recipe quite interesting and asked my Mom about it. She then shared her happy memories of her father (my Dadubhai) enjoying this curry very much in his youth. Your blog post helped my mom and me share some memories of my grandpa whom I miss very much. The word "thanks" seems very inadequate for what you have done for us but it will have to do....from the bottom of my heart...a very big Thank You!!! is the dry shrimp powder a bengali ingredient? i have never heard of such a thing. Will i be able to find it in the indian store?